Before buying a house in 2011, my taxes were simple and required little to no thought. However, with the house purchase (not to mention moving from a state with no state tax to California), I now have to do this scary thing called itemizing, and I’m realizing I did NOT prepare for this very well. Since we are at the start of a new year, I decided it would be a good idea to find out what records I should start keeping today to make my life easier next year. These are the most important things you should keep/file/do something with, and how they can help you come next tax season. What you need to claim them: Itemize your deductions (unless you are self employed). Qualifying Deductions: Health insurance premiums that you pay out of pocket are all potentially deductible. Medical expenses must exceed 7.5% of your AGI before the give you a benefit, or if you are self-employed and not covered by an employer-paid plan you can deduct 100% of insurance premiums. What you need to claim them: You and or your spouse must both have earned income, unless your spouse is your disabled dependent. Qualifying Deductions: Expenses that allowed you and your spouse, if applicable, to work or look for work. The credit is only available for childcare provided for a child under 13 who you claim as a dependent. What you need to claim them: Itemize your deductions; Keep your receipts. Qualifying Deductions: “The cost of tools, equipment,supplies, required uniforms that are unsuitable for wear outside of work, protective gear, professional dues such as union dues or membership to professional organizations, subscriptions to professional journals, and even expenses you pay when looking for a new job in your current field.” Other situational deductions include, training and education related to your field of work, business use of your home and mileage driven for business use (but not commuting). 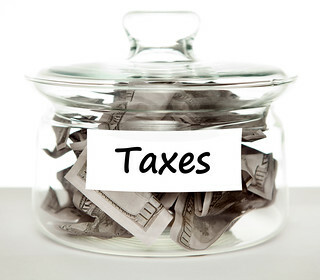 What you need to claim them: Itemize your deductions. Qualifying Deductions: The value of your donated items can be deducted. This is something I often forget to get a written receipt for, and if you get audited, you won’t be able to keep these deductions. You can get a list of common items values on the Salvation Army’s website. There are other expenses you may be able to deduct depending on your particular situation, so if you think a purchase you are making will be tax deductible, make sure to keep the receipt and paper work until you find out one way or the other. Some of these include tax on large purchases (cars, RV’s etc. ), educator expenses, points on refinancing and other situations. This information and more can be found at MSN Money and in this article from Turbo Tax.